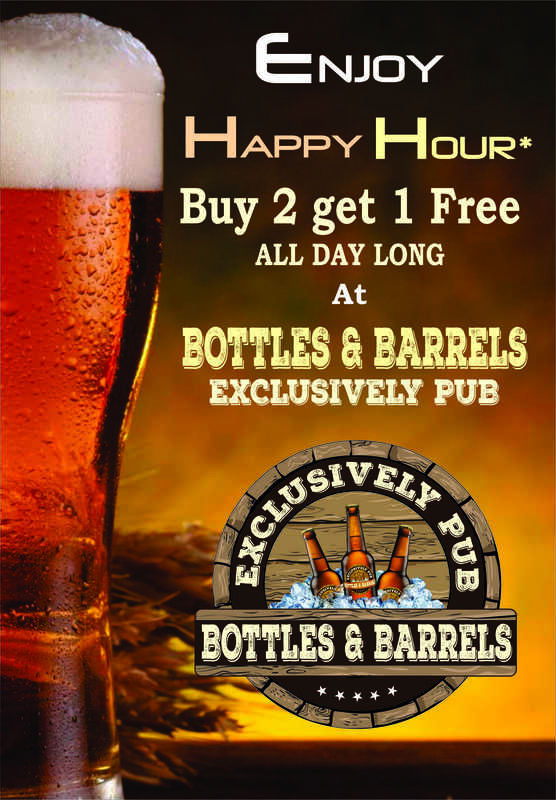 Enjoy Happy Hours at Bottles ‘n’ Barrels (New Exclusive Pub) with Buy 2 Get 1 Free. 6th Anniversary Celebrations! 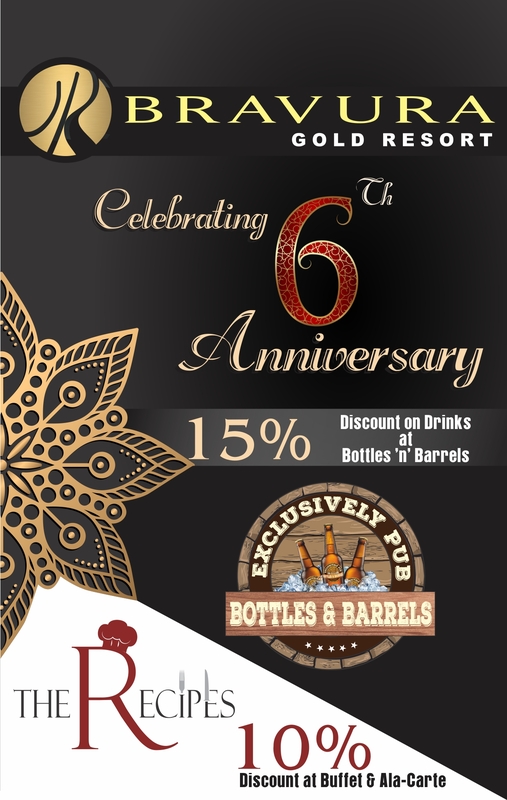 Bravura Gold Resort announces the 10% Discount on Buffet & Ala-Carte at The Recipes and 15% Discount on Drinks @ Bottles ‘n’ Barrels (New Exclusive Pub) on Sunday the 17th Feb – 2019. Join in with your family & friends..